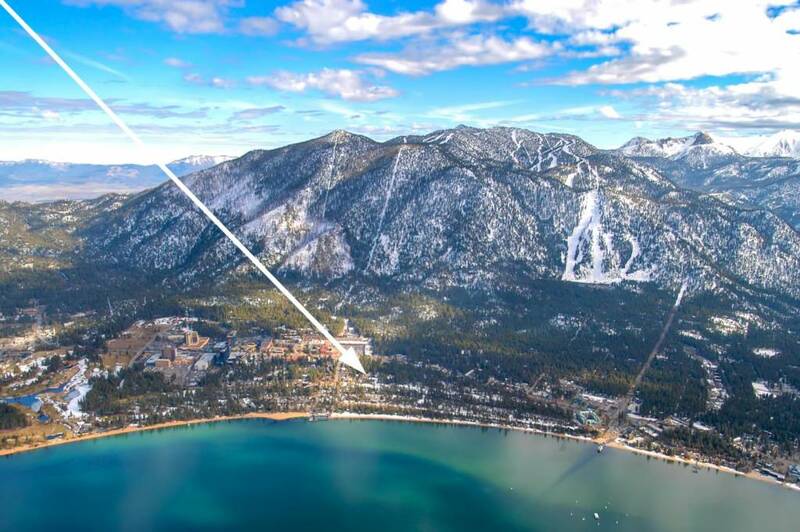 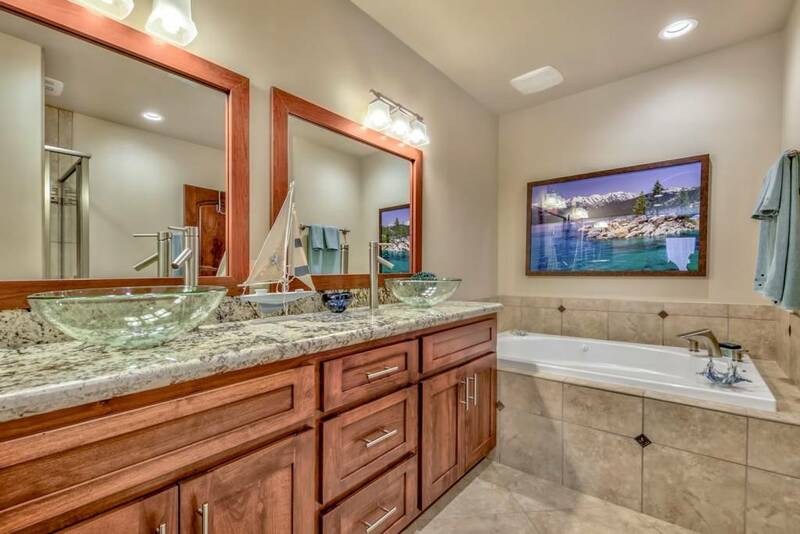 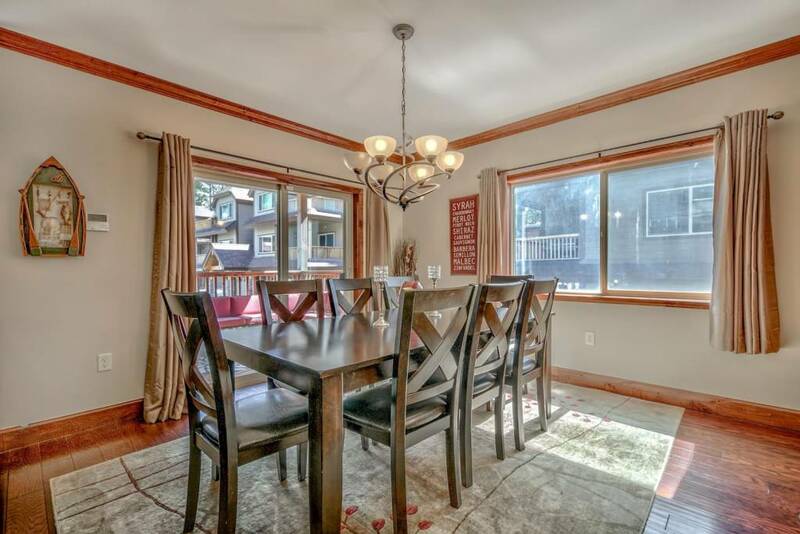 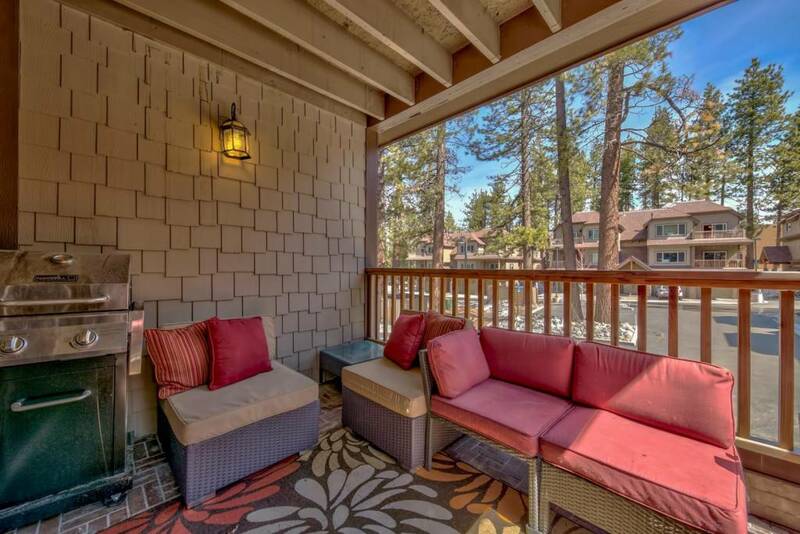 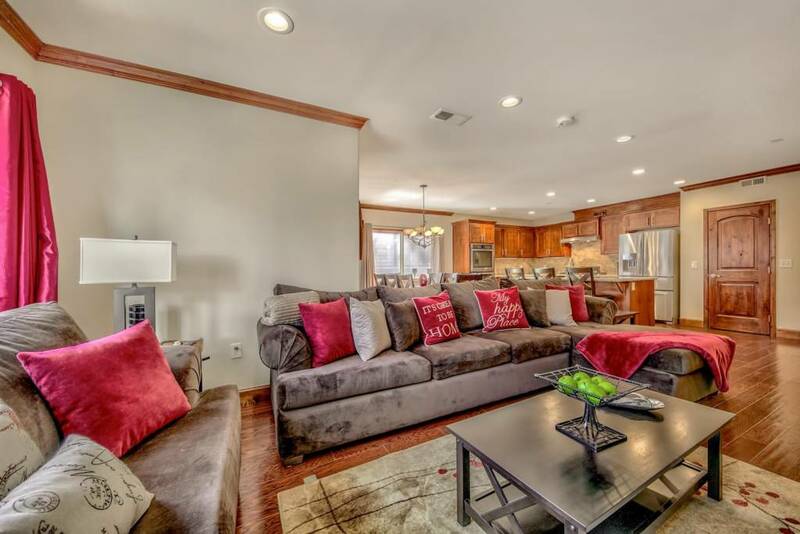 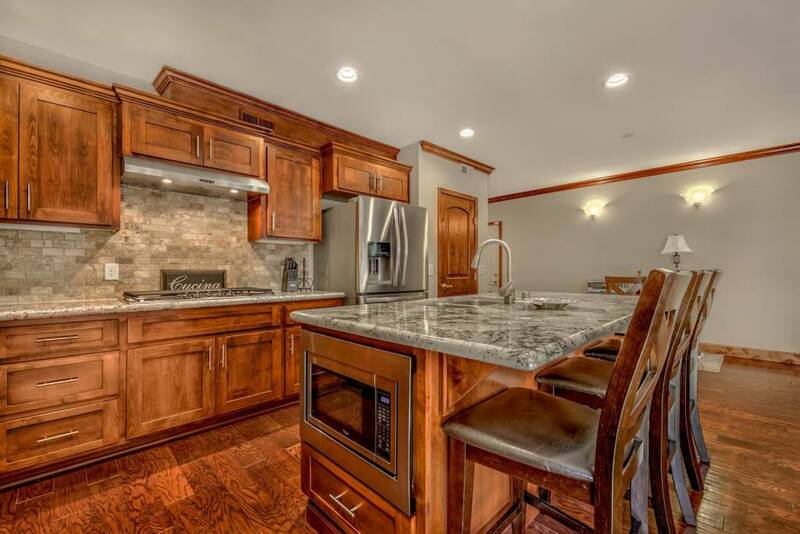 Stunning Tahoe Woods Condo just steps from the Beach, Heavenly Village Gondola, and Stateline! 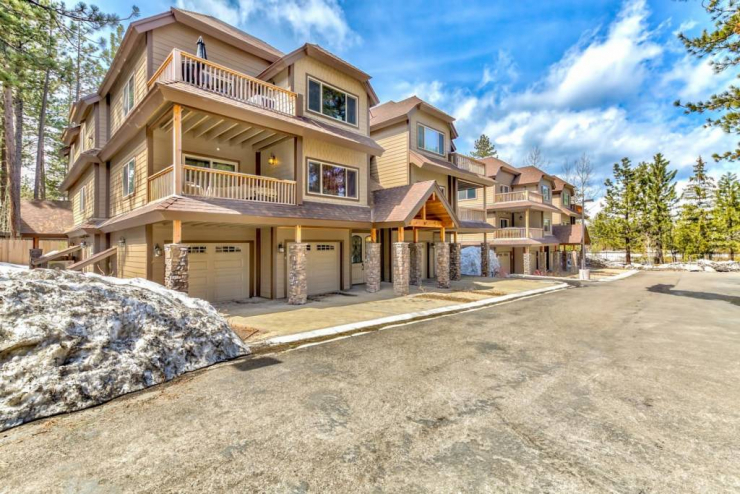 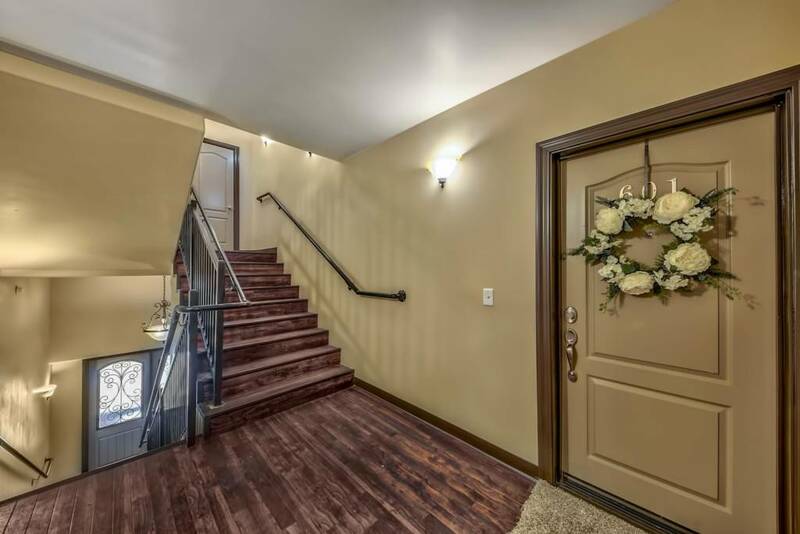 Tahoe Woods is a gated condo community built in 2016 and is located within the Tourist Core area offering an amazing vacation rental opportunity. 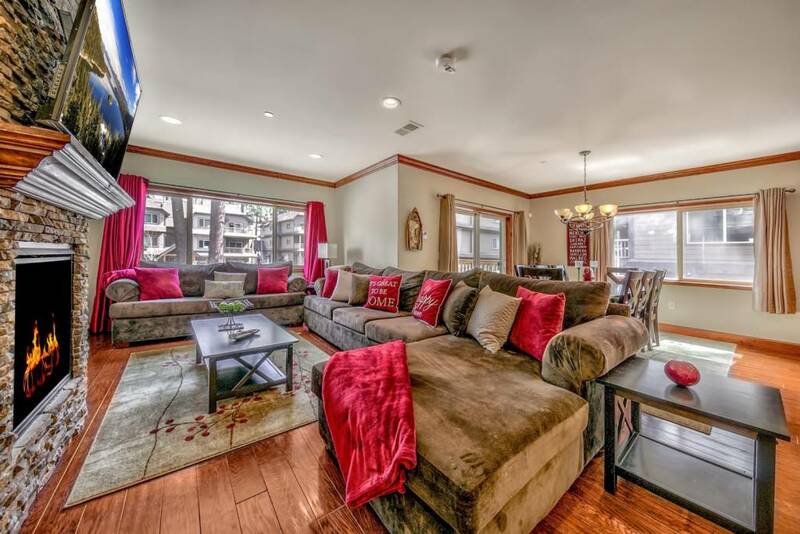 Every builder upgrade was selected and this unit sells fully furnished and tastefully decorated. 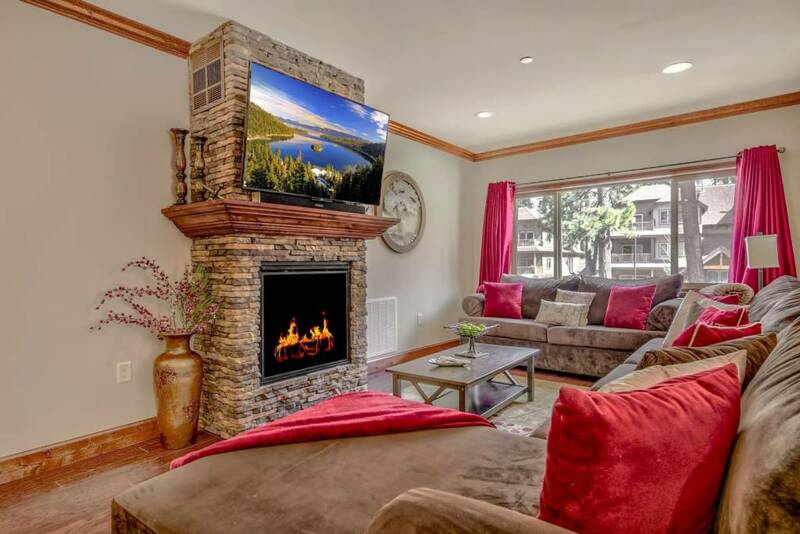 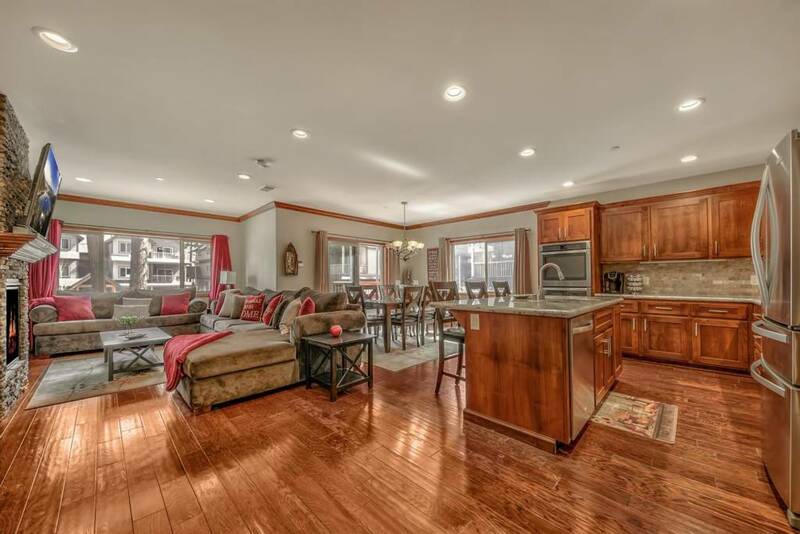 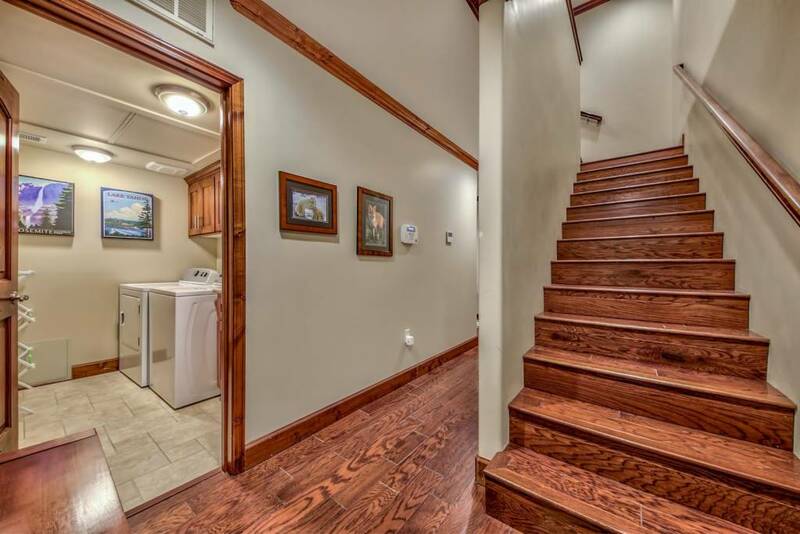 The open living area is perfect for entertaining and includes a custom fireplace with dry stack ledge stone, crown molding, and rich hand scraped hardwood throughout. 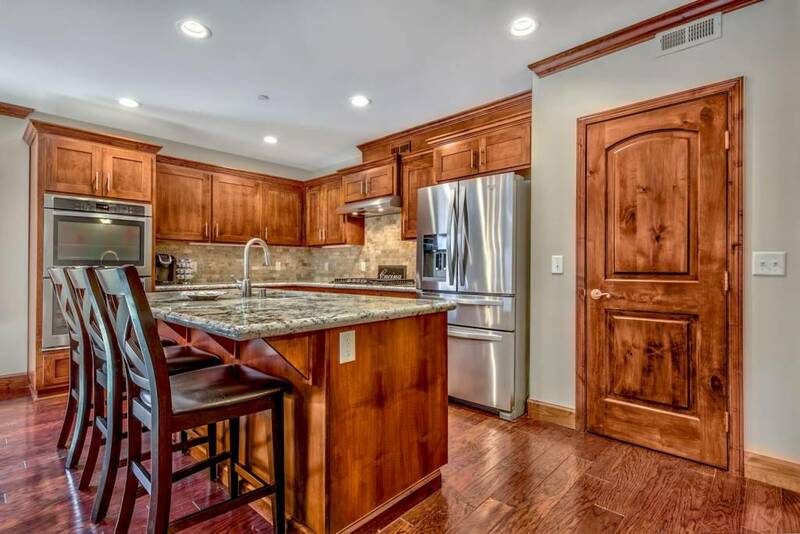 The gourmet kitchen has clear cherry cabinetry, granite slab counters, upgraded stainless steel appliances, a double oven, and a pantry. 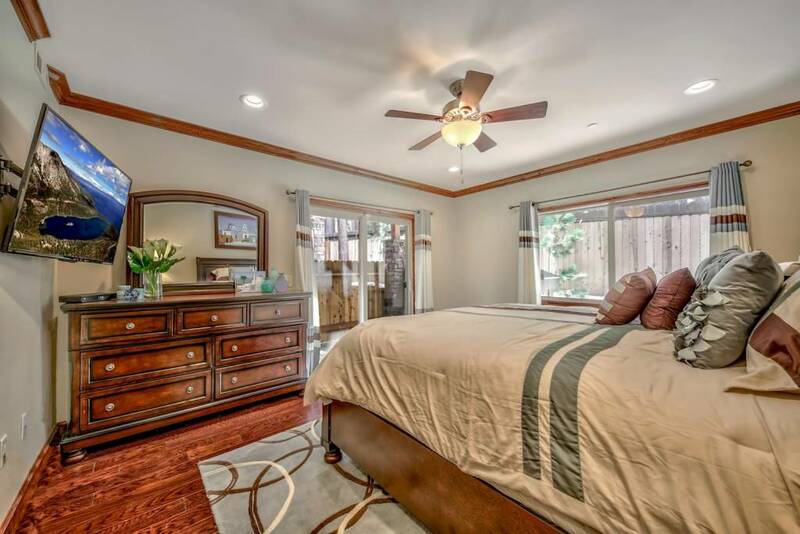 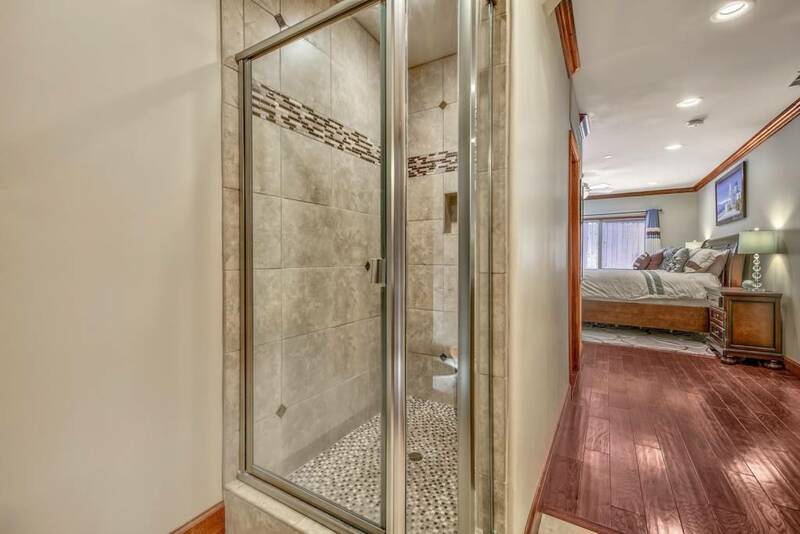 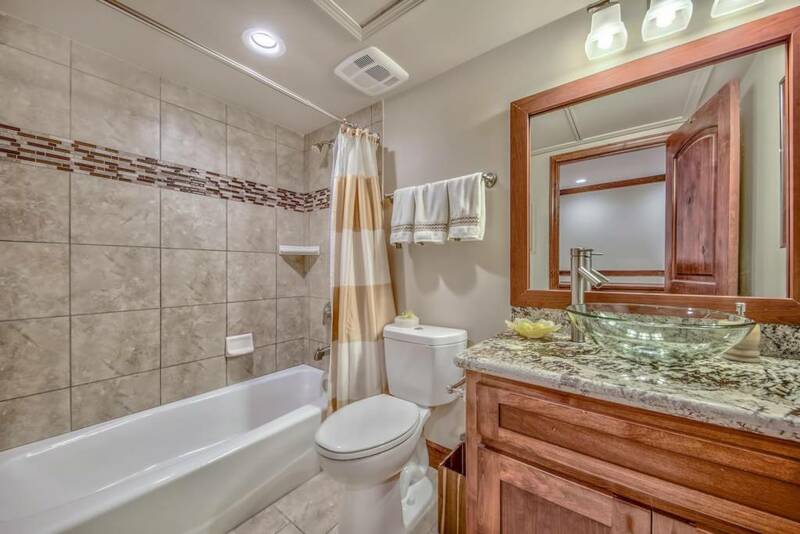 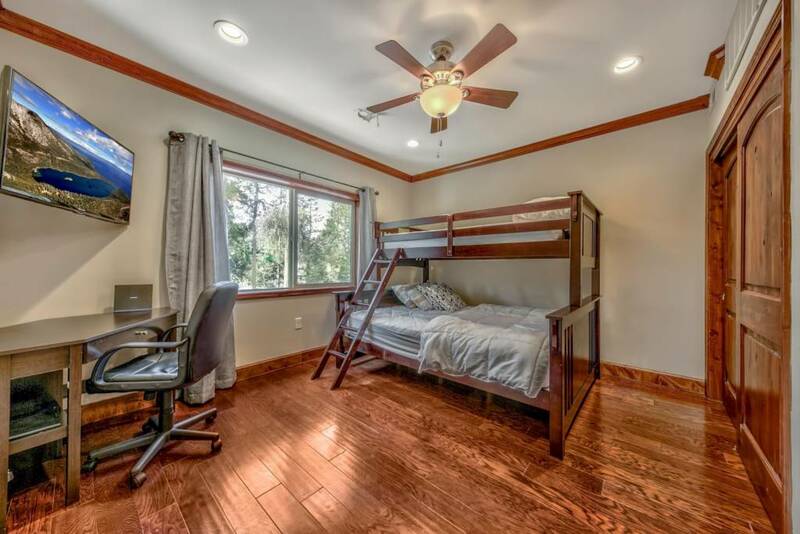 There are three generous bedrooms including a master suite with a private patio, walk in closet, and a jetted tub. 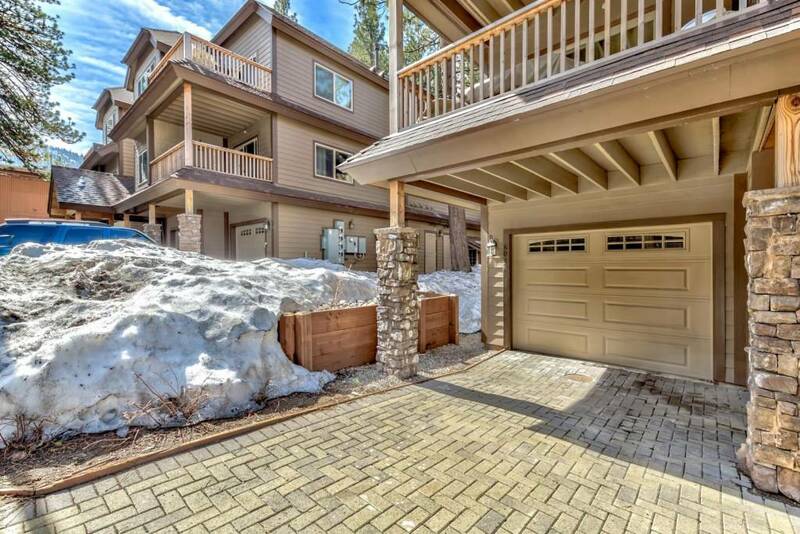 This unit backs up to the wooded and private grounds of Tahoe Meadows and has a balcony overlooking the beautifully maintained common area. 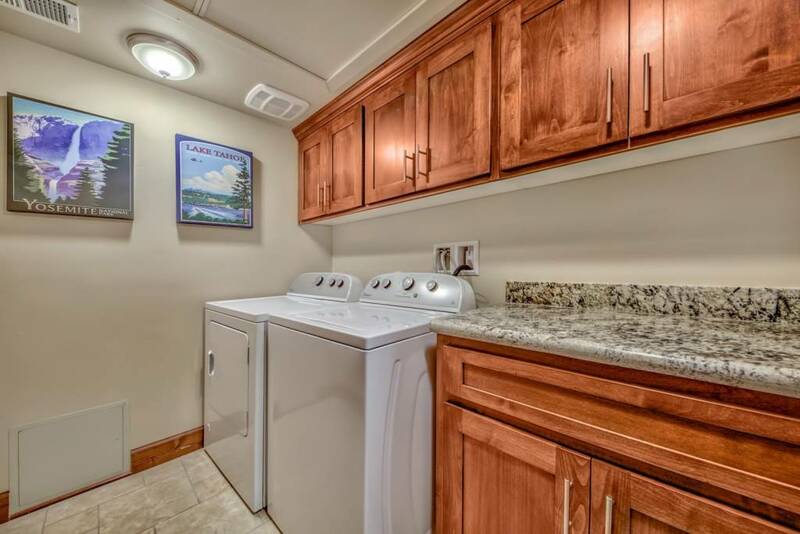 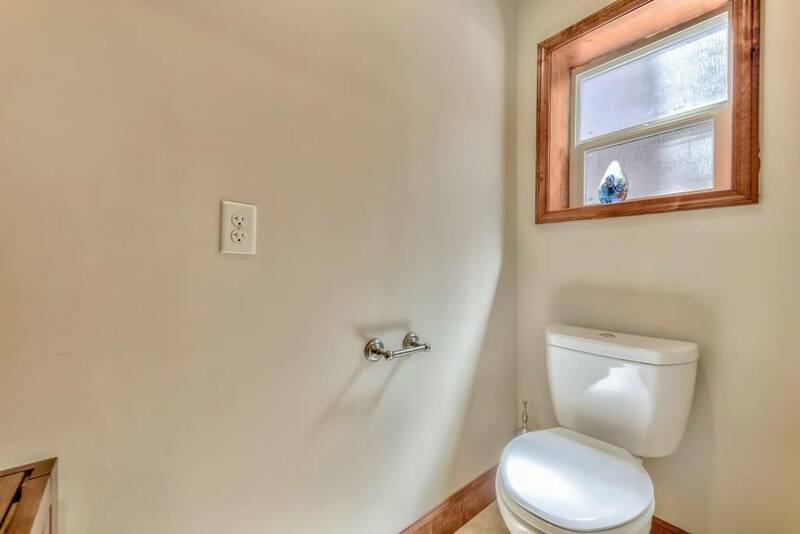 Other features include central air conditioning and heating, a spacious, laundry room, and a garage!